This will cover Classic Licensing, not Smart Licensing for FirePOWER features. You’ll receive your PAK code from Cisco either electronically or on a paper card. From there you can goto https://cisco.com/go/license to register it and get the actual .LIC file. If you haven’t purchased a license yet, you can get a demo license from Cisco by working with your sales engineer. Before you head over there you will need the License Key from the FirePOWER Management Center since that’s where the license will be installed. When you get your license back from Cisco it will be in a .LIC file. You can open that up in a text editor. You will see the .LIC also lists the Features you are licensing, in the example above it’s Protect+Control. Copy everything starting at —Begin through the License — and paste it into the FirePOWER Add Feature License window. Click Verify License. 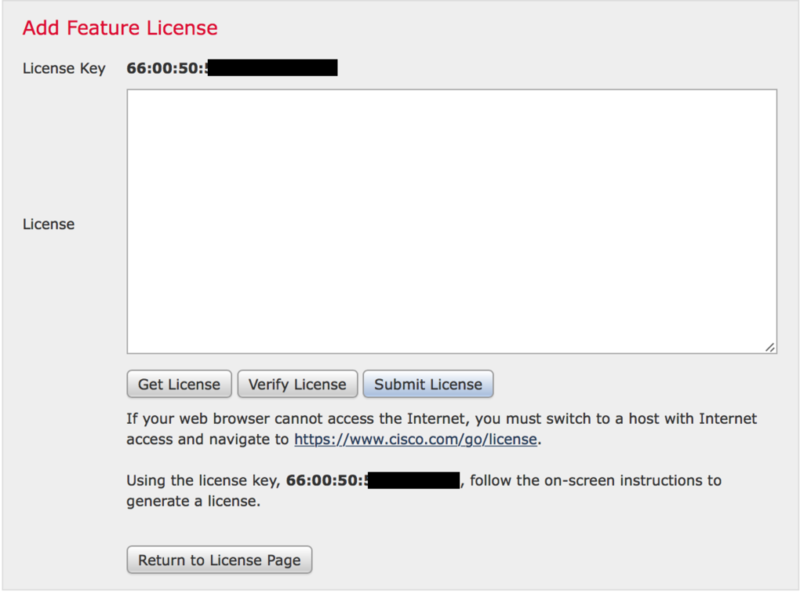 This lets you verify that the license is the correct one before you submit it (re-licensing is kind of a pain). After clicking on Verify you can check to ensure it’s the proper product. Once your sure it’s the one you want click Submit license. Repeat for all features you are adding licenses for. This adds the licenses to the system but they still need to be assigned to your devices. Edit the device you want to add a license too and edit the license section. You can then enable each feature license you have been allocated. Click Deploy when done to push the changes out to your devices. Add quick section for Verifying license before Submitting it. Verify proper Product and Device type. 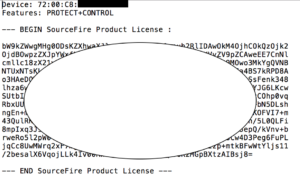 Not sure if you need a section on how to REMOTE a license from Firepower Manager. Good feedback, thanks, I added verification.